The pen tool is great for doing line art. It can produce smooth tapered lines with varying thickness based on speed and has a lot of built-in presets for different styles. 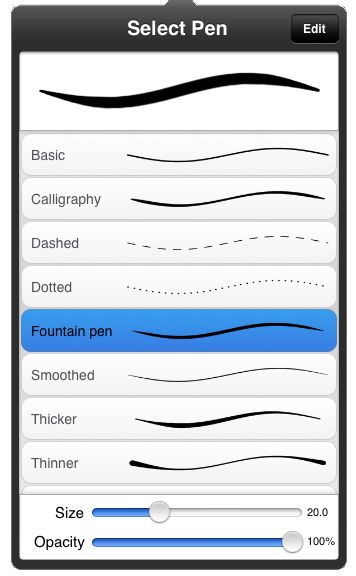 Tap Edit in the upper right to customize the settings for any Pen preset. Tap and hold on a preset to reset it to its default values or make a new copy of it to customize.